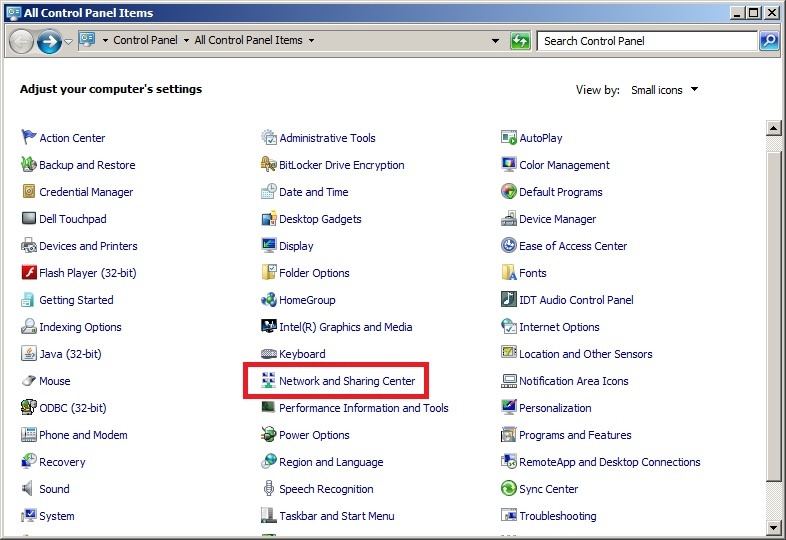 Open the Network and Sharing Center control panel. (Go to the Start menu, select Control Panel. 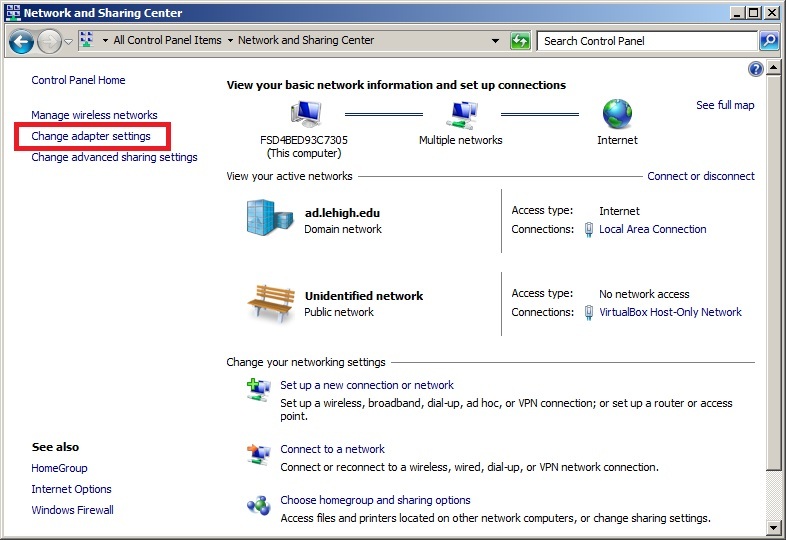 Next, in the left-hand pane, click on the Change adapter settings link. 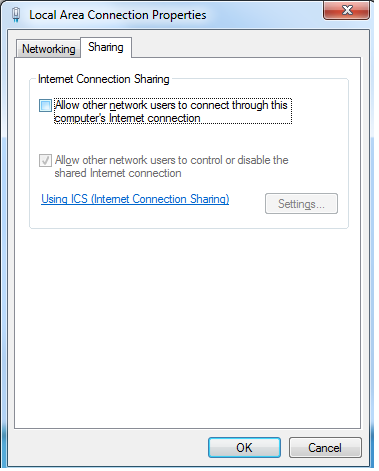 Click on the Sharing tab and make sure the checkbox next to "Allow other network users to connect through this computer's Internet connection" is not checked, as shown to the right.